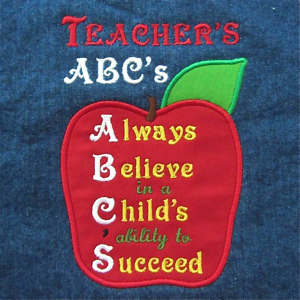 This original Needle Little Embroidery ABC, is perfect for the newly certified & for the seasoned pro! 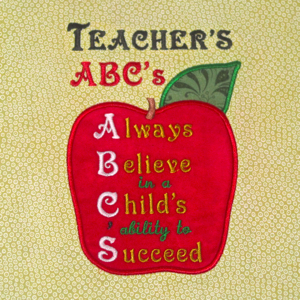 Inspire the teachers in your life with this positive message applique! This design is great for teacher totes (and they tote a lot !!! ), great for school spirit wear, ipad cases and framed for the desk or wall, or used in a wall hanging. 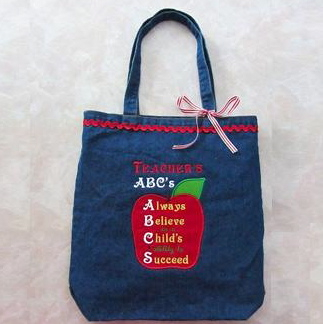 Teacher's ABC's, an A+ choice for inspiring the start of a new school year & teacher appreciation gifting! And of course it makes a wonderful year end gift as well.